Although things are looking up at the moment, the music business is an unpredictable animal, but even so, will investors be able to resist a stake in the number one music company? 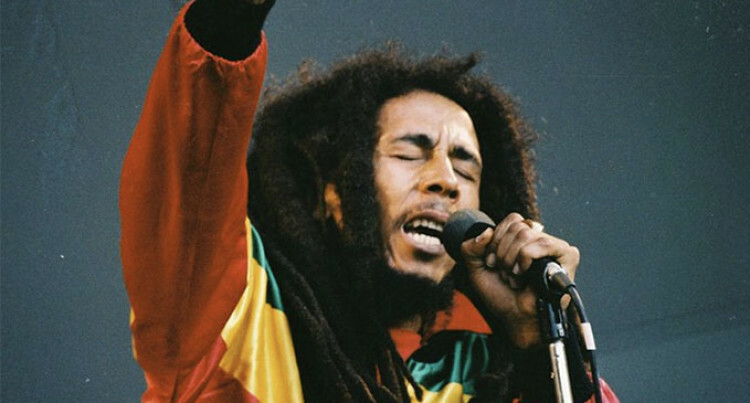 Legendary reggae singer, the late Bob Marley. 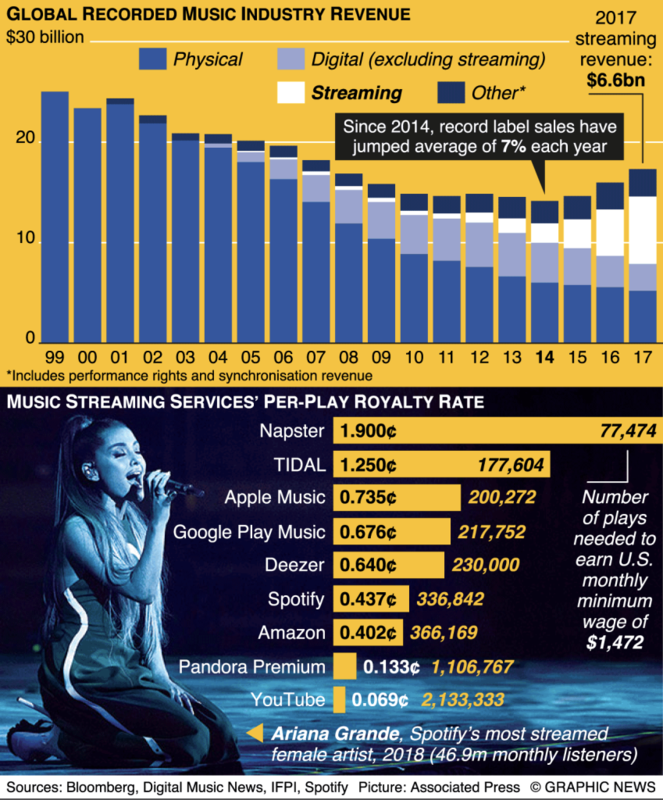 Paid streaming subscriptions have given the record industry a lifeline, restoring it to a period of growth and expansion. In the year 2000 the record industry was riding high on a crest of bumper CD sales, but it was to be short lived. The fast-developing internet brought with it illegal music downloads and file sharing, which saw CD sales plunge by two thirds over the next decade. Today record labels are bouncing back, thanks to the same demon that almost destroyed it – the internet, now in the guise of paid-for music streaming services such as Spotify, Apple Music and Amazon Prime, which generally charge users between $5 and $10 a month for unlimited access to millions of songs. Record company sales have jumped an average 7 percent annually since 2014, with streaming now the top source of revenue, generating $6.6 billion in 2017, up from $1.9 billion in 2014. This change in fortune is leading Universal Music Group to consider selling a stake in its business – possibly valued at more than $25 billion – and is courting potential buyers in private, ahead of an expected announcement on February 14, 2019. Universal’s line-up of music legends includes ABBA, Bob Marley, Taylor Swift, U2 and Van Halen. Its artists had the top five tracks on Spotify and Apple Music in 2018, and it accounted for 30 percent of global music sales in 2017. Sony Music Entertainment took 22 percent and Warner Music Group another 16 percent.